@BLUEVOODU - This would probably be better in the retro gaming section. One of the games that needs to be one of the twenty is RayCrisis. They need at least one Shmup. That would seal the deal for me. The lineup is already looking awesome. So... can the gaming library be expanded? IE can you add more library packs or whatever to the PlayStation Classic to expand the gaming library? Doesn't look like it. However, I fully expect hackers to crack it open just like they did with the (S)NES Classics and add more. Yeah, they only announced 5 games but I do expect at least a Resident Evil title, Metal Gear Solid and Symphony of the night. Maybe Silent Hill as well. I would love to see Twisted Metal 2 and/or Tony Hawk 2. Is it weird that I still have an original NES, the NES Classic, an original SNES, an SNES classic, and still have a working Playstation and am tempted by this? Of course, it will need to have Tekken 3, Silent Hill, Resident Evil, and Castlevania: SOTN to actually be worth it. And it needs a Crash Bandicoot. lol. I Forgot about Crash Bandicoot @retro junkie - I haven't heard anything on Crash in a long time. @Grindspine They just need to make Tekken Bowling and be done with it. Castlevania: Symphony of the Night would be a great addition! I hope that makes it. Tekken Bowling? is this a thing or a joke between hoosiers? Ooooo it's a very real thing. We've played several times lol. 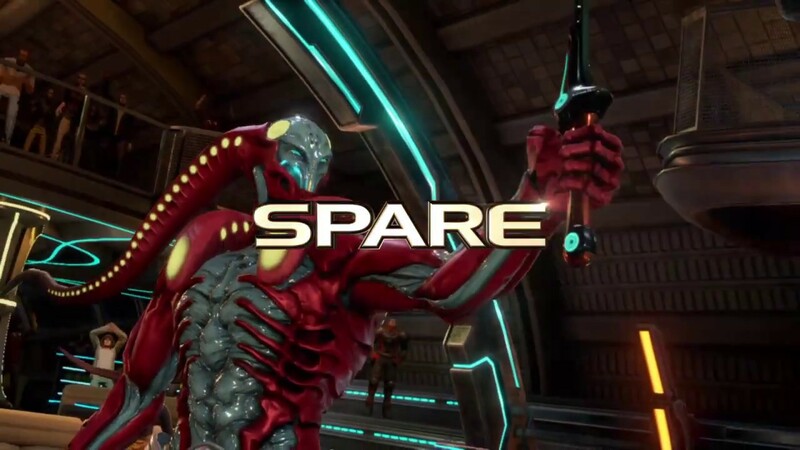 @Grindspine uses yoshimitsu. I cannot tell you how annoying that is lol. Grind knows what you need to do to play it. It's been awhile. It first appeared in Tekken Tag Tournament. Tekken Bowling is a mini game that appeared in Tekken Tag Tournament and Tekken Tag Tournament 2. It can also be downloaded as DLC for Tekken 7. Yoshimitsu and Nina Williams are my crew on Tekken Bowling! Word on the street is that a few of these games are the PAL region versions which means that they will be running at 50hz even for the North America release. Not sure what Sony is doing and who is running this project. Pretty sloppy if you ask me. that's going to be a jerky mess. I'm going to put all these retro consoles into archival cases and not bother. the nes and snes are the only ones that people have spoke highly of. Oh man... what in the world are they thinking?! I'm not sure why they would do that either... it probably isn't a license thing either as it should be easier to use the US release games. Therefore, it cannot be a cost thing either. DF Retro did their review. Yeah, it's quite a mess. I received mine and have it sitting with my other mini consoles. So... why are many of these mini consoles botched so bad? So much disappointment, there is. Did you get much play time with it at all? When I went to pick my preorder up I just said i'm here to pick up my turd and the clerk knew exactly what I ment. The stupid box is too tall for media shelves though! displaying it is going to take a little more though (or a top shelf) acrylic encasement ordered! It's more than likely never coming out of the box for me. It's sitting on a shelf looking pretty with the others. Seems like Sony simply wanted this out for Christmas and didn't pay attention to its development. My guess is straight up laziness. lol @CreepinDeth … man that's sad. The PlayStation Classic goes from something super exciting to Shelving material in no time flat. @targetrasp I'm here to pick up my turd... lol... and then they had you Fallout 76... WHAT?! I actually saw a commercial on for the PlayStation classic the other day. I couldn't believe it.. albeit it was a the hotel bar just after brunch. more like "you already picked up SNK 40th and Starlink"
I was waiting for her to quote Vegas Vacation on me. "why don't you give me half the money you were going to spent, we'll go out back, i'll kick you in the nuts, and we'll call it a day." Not surprising since it's happened to the other consoles as well. However, due to Sony's lack of caring, it was much easier to do. You can pop in a USB stick with games and the system can read off of it. This might cause it to sell more units now. @targetrasp still.. starlink looks like a lot of fun... but point made! @CreepinDeth What can you do with the hacked version? You can load your own games without being limited to the 16GB internal storage. Looks like not all games run well though since the emulator is an older, outdated version. Ah Interesting... so you can legitimately just throw ISO's at it and it works (for the most part). That's pretty crazy - although it makes sense. But then I come back to the point of … if you're going to hack something to play other emu games... why not save your money and just use your PC. Still interesting they hacked one of these "classic" machines. because it's only easy to find genesis, nes, and snes cases for the raspberry pi! Well, there are a few reasons. For one, they take up less space and are usually more aesthetically pleasing in your living room. Like targetrasp mentioned, you can get some cases that look like an NES or SNES pretty easily. Although, PS1 cases are not looking as good because the shape of console doesn't lend itself as easily to the raspberry pi. Second, it's fairly cheap to get a pi if you don't have a powerful PC. Personally, I do prefer a PC. I just got Beetle PSX via Retroarch up and running and the games look amazing. They have some sweet shaders as well for those who enjoy the CRT retro look. I might start a new topic on it. Probably going to play through a bunch games over the Christmas break.